Dunlop AcoustiCushion is a sound choice. It's the perfect solution for multi-residential living as it helps reduce the impact of noise through floors and ceilings by up to 69%, easily surpassing the industry standard set by the National Construction Code (NCC). As our thickest foam carpet underlay, AcoustiCushion helps make your carpet more comfortable whilst delivering outstanding sound insulation. It's also a fantastic thermal insulator, keeping your home warmer and helping reduce your heating bills. 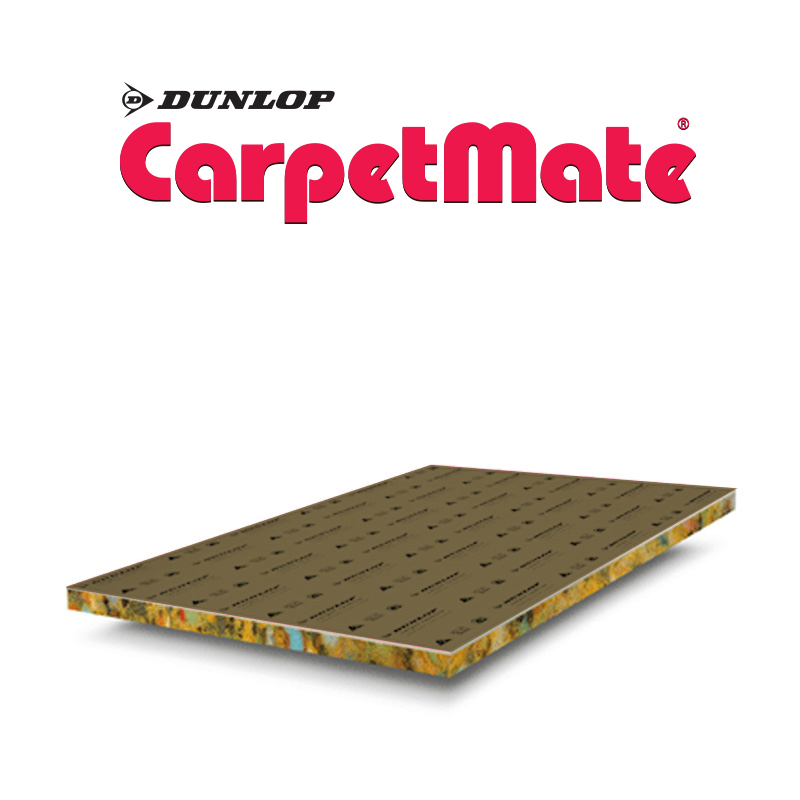 And, as you'd expect from a Dunlop carpet underlay, it improves carpet appearance and retention, extending the life of your carpet. Your home is a place of comfort. Dunlop Flooring recognises that this comfort also extends to factors that you can’t necessary see, such as the air quality of your home. As such, Acousticushion carpet underlay is Green Label accredited by the Carpet and Rug Institute in the USA, ensuring that it meets strict criteria on VOC emissions for superior indoor air quality for your entire family. After all, it’s what you can’t see that makes the difference. 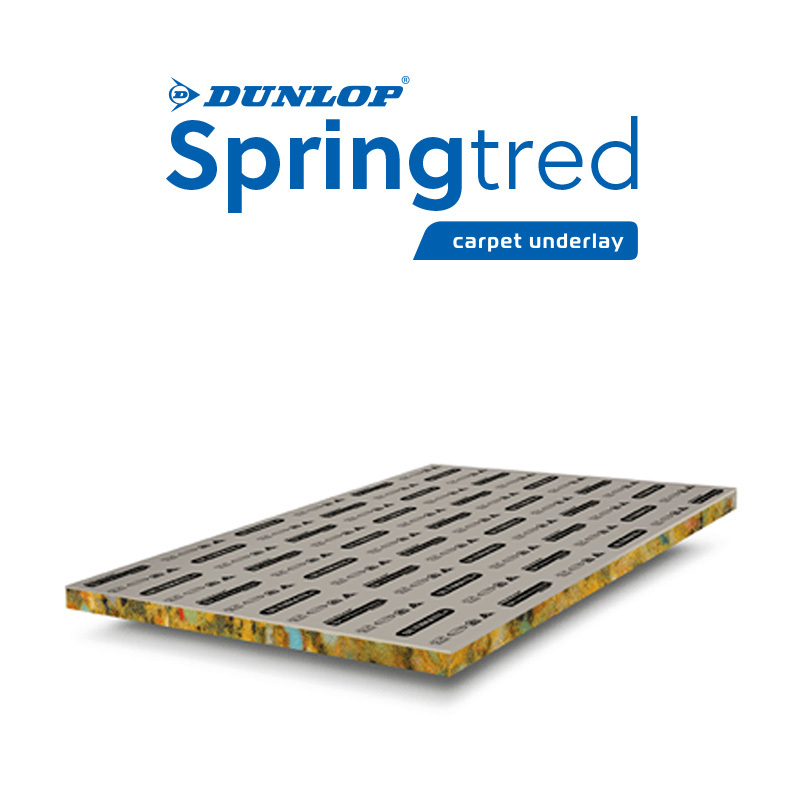 This Carpet Underlay has been treated with Dunlop Fresh-Living which provides proven effective control of bacteria, mould, mildew and fungi whilst also helping to control dust mites which may assist in the prevention of asthma and other allergies. Fresh-Living also provides lasting hygienic freshness, effective odour protection and extends product life by resisting deterioration.